A urinary tract infection (UTI) is an infection in any part of the urinary system including kidneys, ureters, bladder and urethra. Most infections involve the lower urinary tract which is comprised of the bladder and the urethra. These infections often occur when bacteria enter the urinary tract through the urethra and begin to multiply in the bladder. Although the urinary system is designed to keep out such microscopic invaders, these defenses sometimes fail. When that happens, bacteria may take hold and grow into a full-blown infection in the urinary tract. Women are at greater risk of developing a UTI than men. A UTI can be painful and bothersome. Urologists typically treat urinary tract infections with antibiotics. There are preventive measures to decrease your risk of getting a UTI. Patients should see your doctor at the first sign of a problem. Urinary tract infections are very common, and they are easiest to treat if caught before they become severe or spread beyond the bladder. Urinate when you feel the urge, empty your bladder regularly and try not to hold urine more than three hours. Avoid potentially irritating feminine products. Using deodorant sprays or other scented feminine products in the genital area can irritate the urethra. Drink at least eight glasses of water daily to help wash out bacteria. Avoid or eliminate foods that irritate the bladder: coffee, black tea, alcohol, and chocolate. 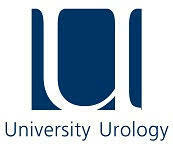 Women with recurring UTIs or blood consistently in their urine should be seen by a University Urology doctor. We can perform more sophisticated tests like urine cytology, ultrasound, CT urogram or cystoscopy that will help to find out why the problem is reoccurring.